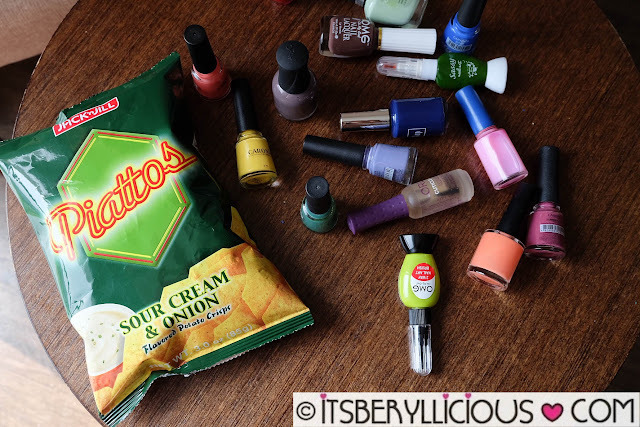 Some people enjoy snacking on Piattos while watching movies or tv. Some pair it up with their favorite juice or coffee. It can be a simple snack to satisfy a craving, or it could be your go-to chips for a late night bonding. Whatever reason there is, people seem to have a lot of ways to enjoy their favorite Piattos snack. Your #PiattosTime can be as simple as chilling at couch surfing the net during breaks, or it can be doing something you love while enjoying the goodness of the hexagonal chips. 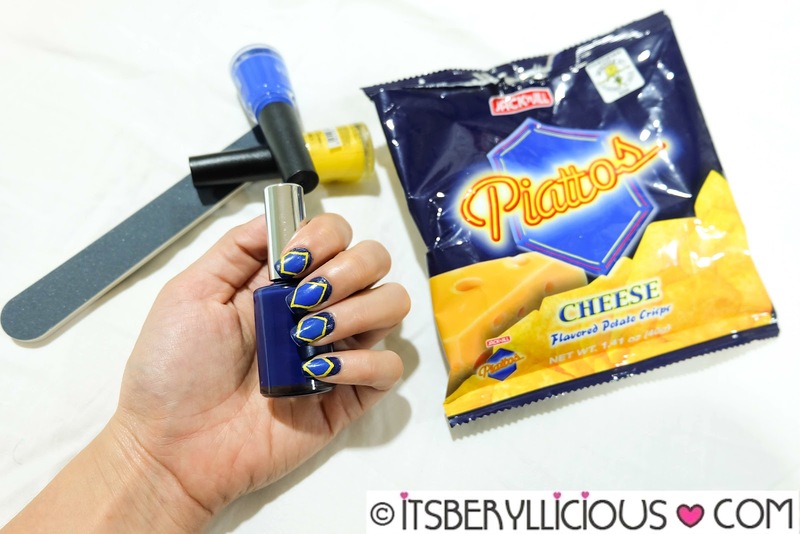 I enjoy snacking with Piattos while doing my nails. It's the perfect company to my me-time moment while unleashing my artistic side. This is my #PiattosTime. It inspired me to get more creative by giving me ideas and designs that are unique and one-of-a-kind. Just like my recent nail art design featuring the different flavors of the popular hexagonal snack. It was a challenge to do it, but I'm glad I pulled it off! 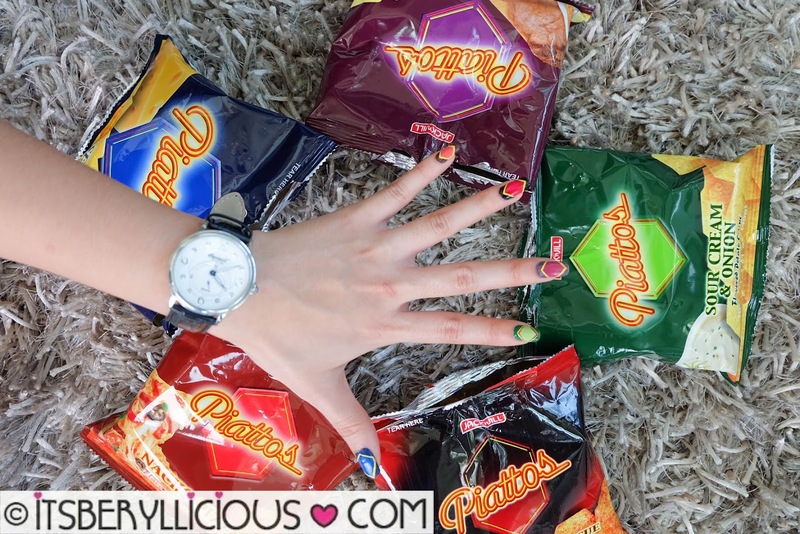 It took a while but I didn't mind, since I had all Piattos flavors to munch on by my side. You, how do you level up your #PiattosTime?